You may not have personal trainers, personal shoppers or a personal chef, but at Rock Bottom everyone has a personal Brewer. Our Brewers craft fresh beer inspired by their very own experiences and they take the term craft beer seriously. We also offer greet food and good friends, at our award-winning brewery. Stop on by Rock Bottom Brewery for a good time and good beer! Cincinnati's lunch and dinner choice for fresh salads, signature soups, chilis, delicious sandwiches, stuffed burgers and more! Many gluten free, heart healthy and vegetarian options available. Catering available, downtown delivery. Scene75 Cincinnati is one of the largest indoor entertainment center in the country, offering guests 90,000 square feet of fun. Scene 75 offers indoor electric g-karts, multi-level laser tag arena, 110+ arcade games, and more. Scene75 Cincinnati is not all about fun and games, but getting family, friends, and the community together. Visit one of Scene75 annual events such as the trick-or-treat event. Scene 75 also hosts a special need program the first Thursday of every month and contributes to education through the learn to earn program. The Cincinnati Museum Center Heritage Programs is proud to present its 2017 schedule of historical, cultural and architectural tours. For more than 30 years, the docents have enjoyed sharing their passions for history.The all-volunteer Cincinnati Heritage Programs has unlocked doors to privately owned places generally not open to the public.The Ambassadors of Cincinnati History strive to inspire people to learn and appreciate the regions history. Visit cincymuseum.org/programs/heritage for tour dates. Bonnybrook Farms is a unique private event venue offering fun in the country for Convention, Corporate, Motor Coach and special groups. Bonnybrook's friendly and accommodating staff will tailor a Chuck Wagon Dinner Ride, Old-Fashioned Picnic or Special Event for your group and budget along with a menu of fresh made on the farm, hickory smoked pork and chicken, salads, sides and homemade desserts. Delicious food and one-of-a-kind farm activities combine for an unforgettable day on this beautiful 370 acre working farm. To learn more about how Bonnybrook can make your upcoming event special, visit BonnybrookFarms.com. Prestige AV & Creative Services is the region’s leading audio-visual and event production company, serving Cincinnati, southwest Ohio, Kentucky and Indiana. Prestige has the tri-state’s largest inventory of state-of-the-art equipment centrally located at our 57,000 sq. ft. warehouse. We offer a one-stop shop with a full array of technical and creative solutions for your next event all delivered and operated by our highly trained and experienced staff. Prestige AV & Creative Services is the preferred supplier to the Duke Energy Convention Center, Sharonville Convention Center and many of the finer hotels and hospitality venues throughout the region. Amberley Village is located at the center of the I-275 circle, with easy access to all major highways and the entire metropolitan Cincinnati area. The varied architectural styles, including mid-century modern, contemporary, and traditional, add to the unique ambience of Amberley Village. Amberley Village is also known for its wood-chips/mulch project, a rain garden: a landscaping approach to storm-water management, and their solar powered buildings. With the extraordinary amount of time that is put it to the beautiful landscape, Amberley Village should be on your bucket list. J. Miles Wolf is an accomplished photographic artist and an experience architectural photographer. Miles has passion for taking photographs of Urban Scenes, Nature, Travel, Sports, and Architecture. 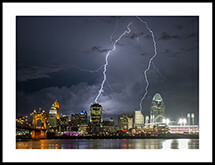 He also has a Cincinnati Collection that features scenes of Cincinnati on stock photographs, fine-art prints, posters, cards, books and gifts. J. Miles Wolf Photography doesn’t stop their; he also is a publisher of books, cards, and puzzles of the Cincinnati area. A premium purveyor of sweets, candies and confections. This includes colorful French macarons, marzipan fruits and a bulk bar that features a gummy bear selection of more than 15 unique flavors. Lolli & Pops brings together an assortment of high-quality treats which are offered with inviting, informative service in quintessential candy stores. By sourcing the best confections from across the world and presenting them in a beautiful shop, the experience of discovery is just as delightful and inspiring as indulging in the treats. With almost 60 stores nationwide and plans to reach 80 stores in the next year, Lolli & Pops is sharing sweetness and delight with millions of guests around the U.S.